Is Your Data In The Dark? We get the problem. We get the data. We deliver traceability solutions that unlock assets and empower innovation. Whether it is a one-off migration, permanent synchronization, DOORS systems engineering, or the linking of elements across your engineering landscape, we have the industry experience, application know-how and existing technology to unleash your engineering data. We provide a set of connectors for IBM DOORS such that your engineers can extract and transform their models to reuse them on other platforms. Our connectors provide a standard Java API that can be integratedin your own code. tool chain. Our services are based on our best-selling MD Workbench platform that allows engineers to use our connectors to create continuous model transformation processes that enable the synchronization of engineering datasets around multiple tools. 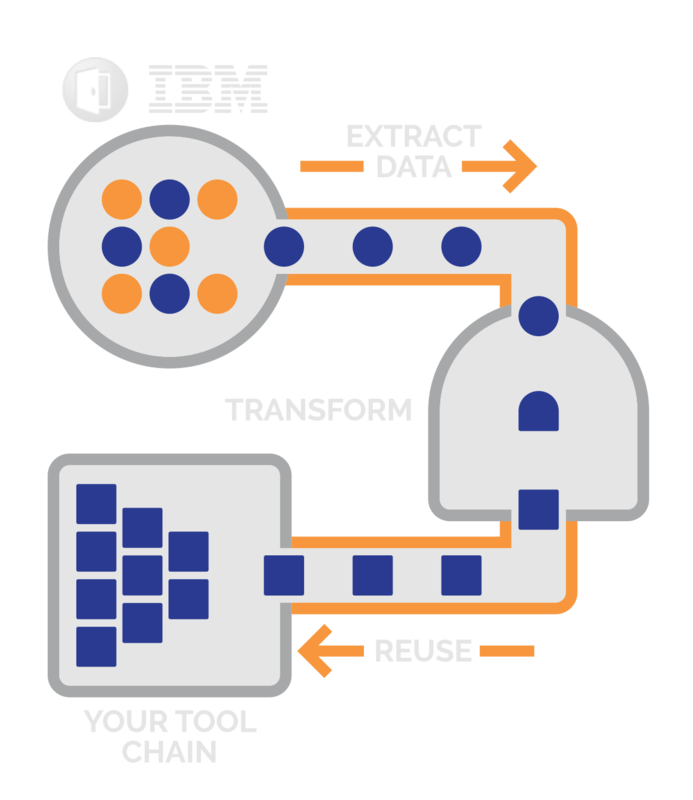 For example, we can set-up live data replication mechanisms between IBM tools and any of their peers in the industry. 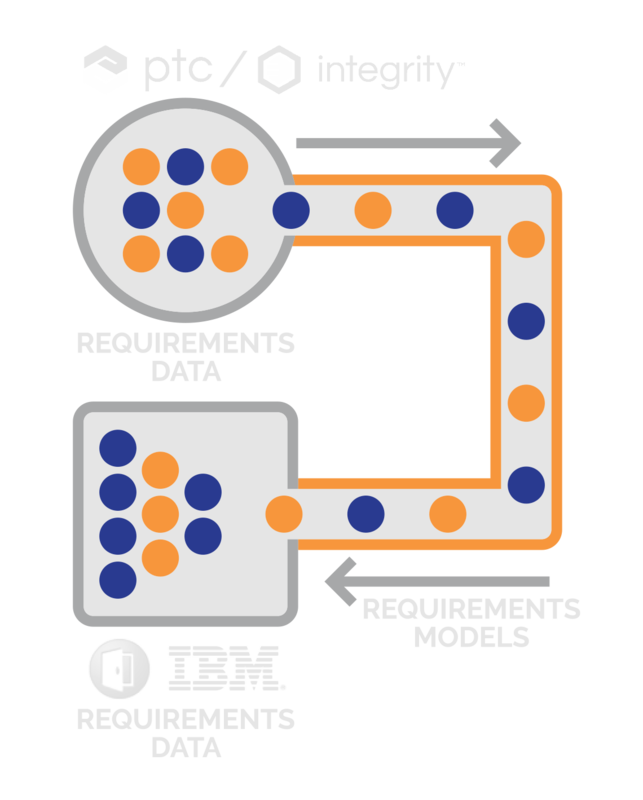 Between a major automotive manufacturer and its suppliers, we enable the process-coordinated exchange of product requirements models between IBM DOORS (used at the OEM) and PTC Integrity (used at suppliers). 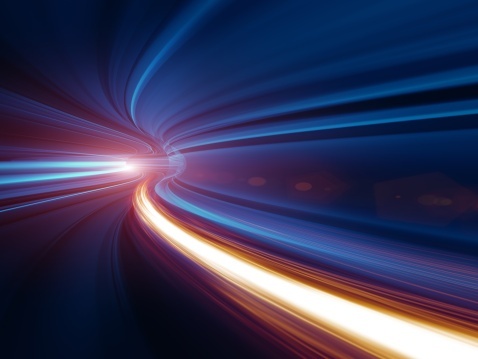 The migration of data between the old guard and the next generation of DOORS is a business sensitive and critical tasks that should be automated to handle large amounts of data rapidly while insuring consistent quality across results. We provide our customers with reliable data migration mechanisms based on our MD Workbench platform. Whatever your data migrations or tool integration needs are, Sodius is the best company in the market to enable the transformation of model-based engineering data or integration from DOORS to any requirement management tool on the market. 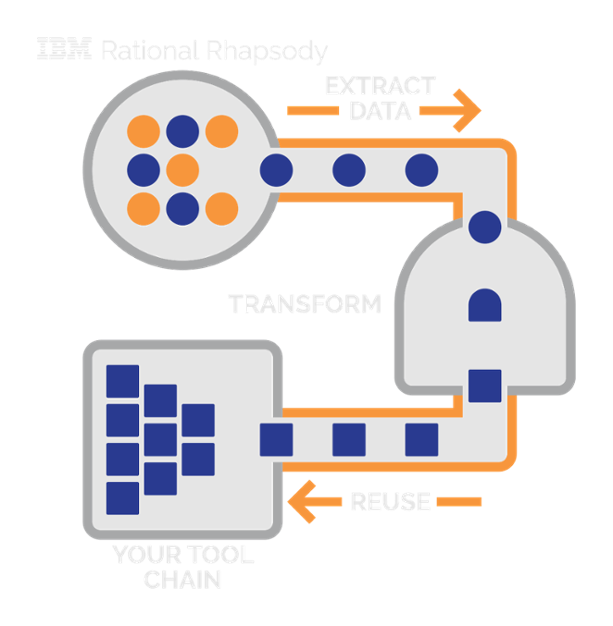 We provide a set of connectors for IBM Rhapsody such that your engineers can extract and transform their models to reuse them on other platforms. Our connectors provide a standard Java API that can be integrated in your own code. Alternatively we provide services around end-to-end integration of your tool chain. 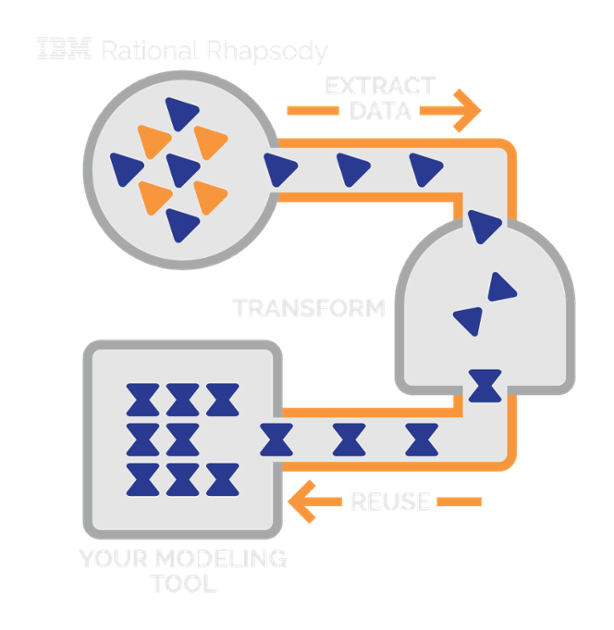 Our model transformation framework expands the capabilities of Rhapsody. Modeling is a powerful paradigm to represent relationships between a set of engineering artifacts. One of our clients in the Aerospace industry is using a complex engineering entity-relationship model implemented as a profile (i.e. a language extension) of the SysML language to map XSD (XML Schema Definition) instances. 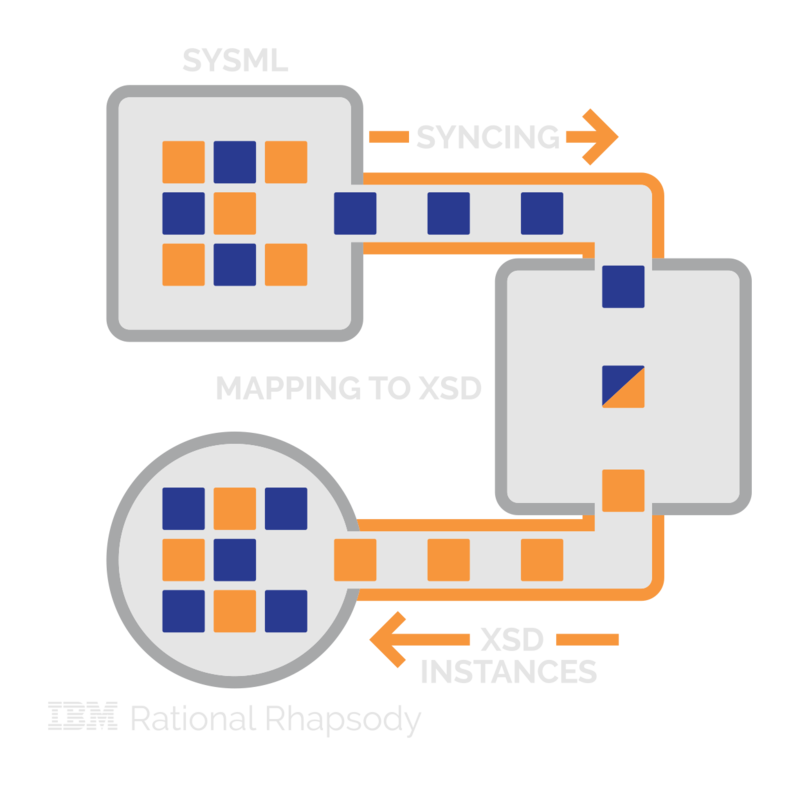 This mapping allows the import, display and edition of XSD models in Rhapsody. 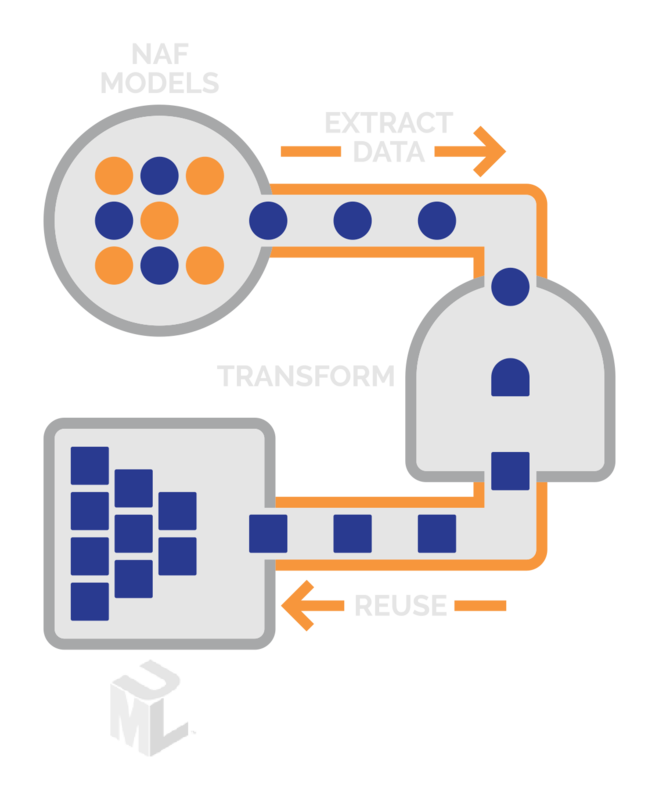 Whatever your data migrations or tool integration needs are, Sodius in the best company in the market to enable the transformation of model-based engineering data from Rhapsody to any modeling tool on the market. 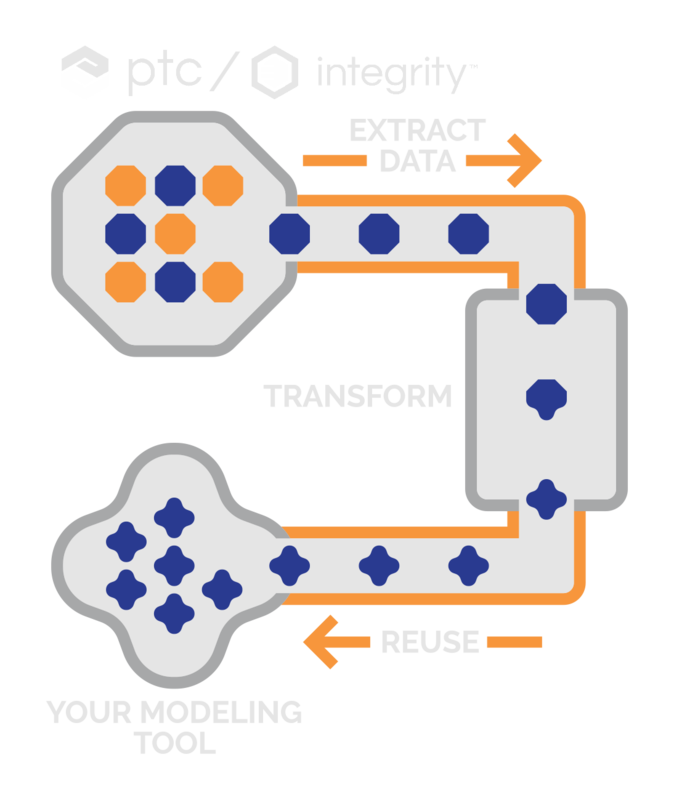 We provide a set of connectors for PTC Integrity so your engineers can extract and transform their models to reuse them on other platforms. Our connectors provide a standard Java API that can be integrated with your own code. Alternatively, we provide services around end-to-end integration of your tool chain. Our services are based on our best-selling MDWorkbench platform that allows engineers to use our connectors to create continuous model transformation processes, enabling the synchronization of engineering datasets around multiple tools. 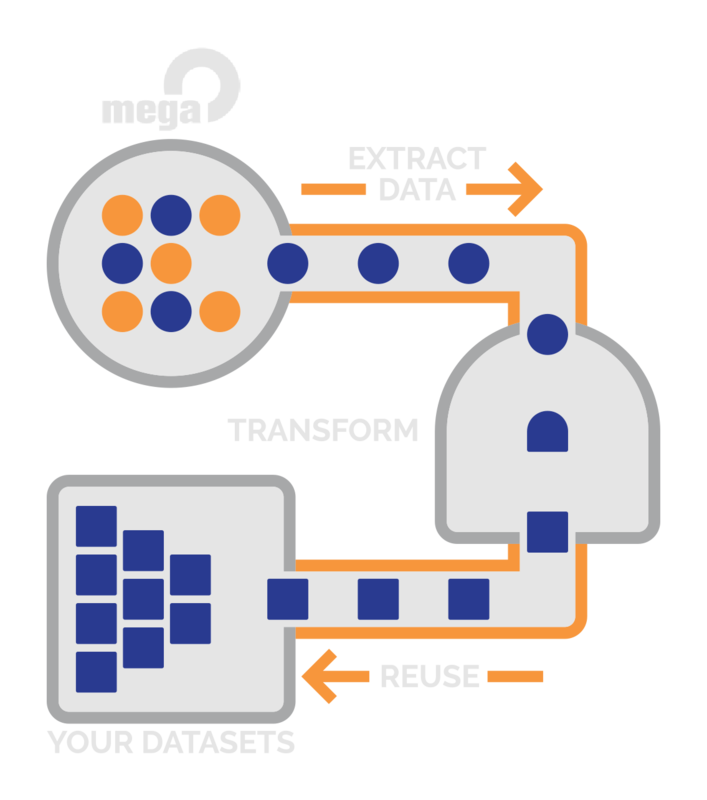 For example, we can set-up live data replication mechanisms between PTC tools and any of their peers in the industry. 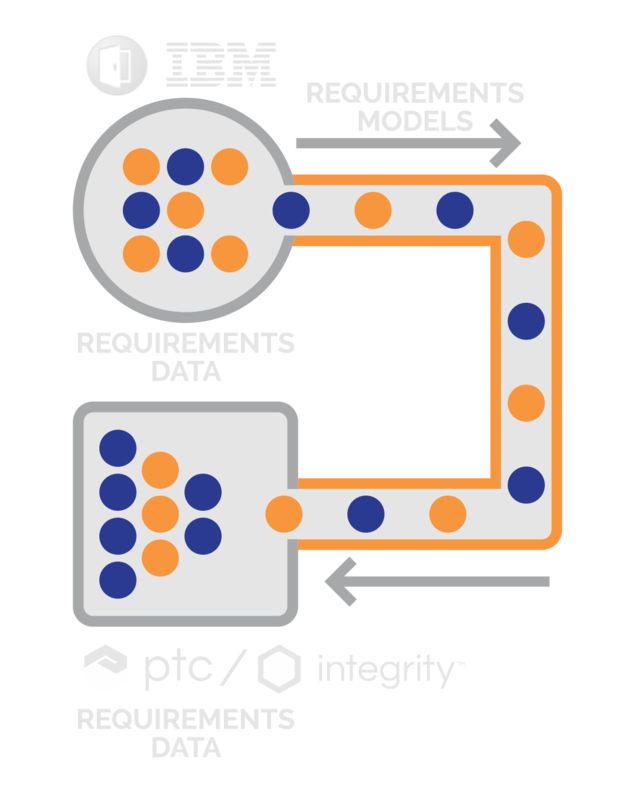 We enable the process-coordinated exchange of product requirements models between IBM DOORS (for automotive OEMs) and PTC Integrity (for suppliers). Whatever your data migration or tool integration needs are, Sodius is the best company on the market to enable the transformation of model-based engineering data or integration from PTC Integrity to any requirement management tool. 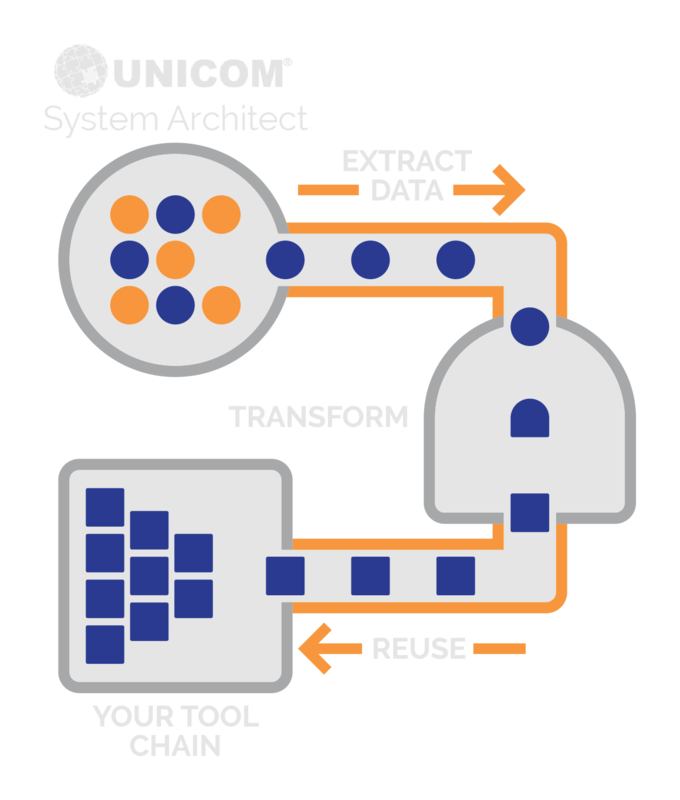 We provide a set of connectors for Unicom System Architect such that your engineers can extract and transform their models to reuse them on other platforms. 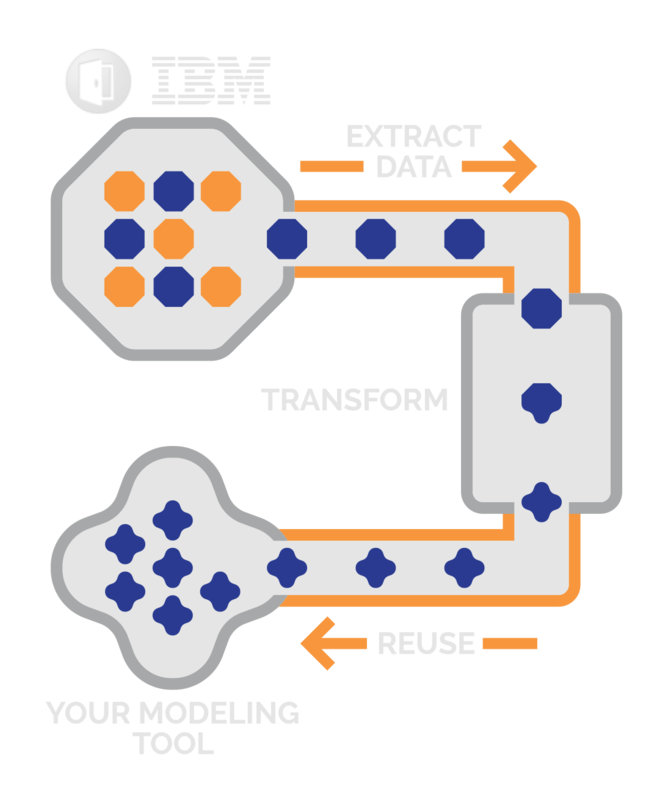 Our services are based on our best-selling MDWorkbench platform that allows engineers to use our connectors to create continuous model transformation processes that enable the synchronization of engineering datasets around multiple tools. For example, we can set-up live data replication mechanisms between System Architect and any of their peers in the industry. We have helped our clients in the defense industry transform and exchange models in the NATO Architecture Framework between System Architect and Mega HOPEX Architect. Models are exchanged across a neutral NAF repository that enables both tools to maintain their proprietary semantics, while exchanging complex models based on our efficient MDWorkbench platform. 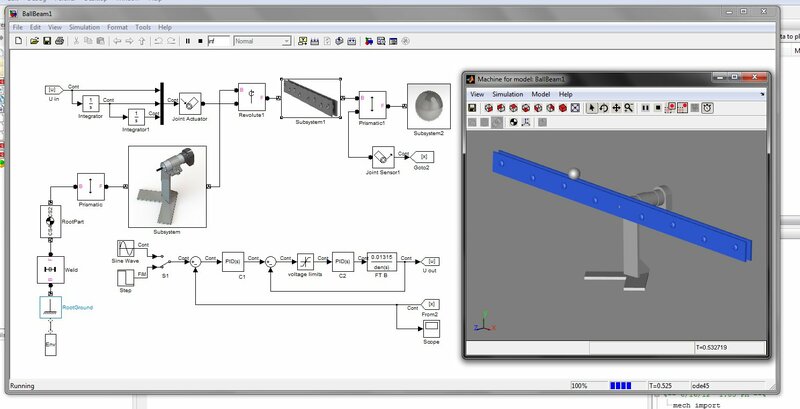 We provide our customers with the flexibility to author their engineering models in MagicDraw while meeting the needs of their customer contract that requires them to deliver the models in the System Architect format. We have built an automated model transformation platform based on MDWorkbench to allow them deliver compliant models with the click of a button. 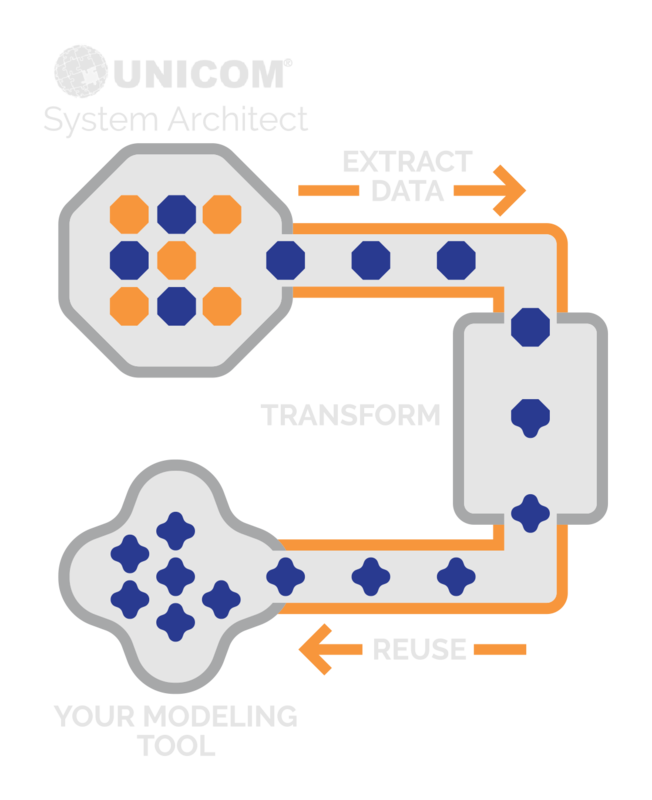 Whatever your data migration or tool integration needs are, Sodius is the best company on the market to enable the transformation of model-based engineering data or integration from Unicom System Architect to any modeling tool. We provide a set of connectors for the tools at MEGA to help your engineers extract and transform their models and reuse them on other platforms. 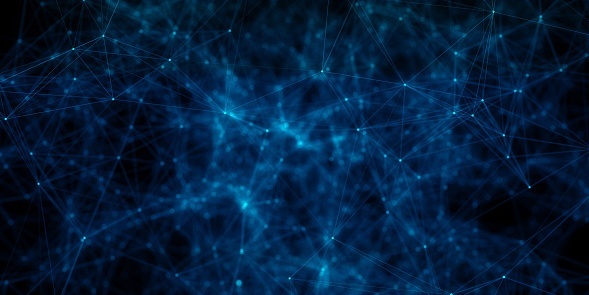 Our connectors provide a standard Java API that can be integrated into your own code. Alternatively, we provide services around end-to-end integration of your tool chain. 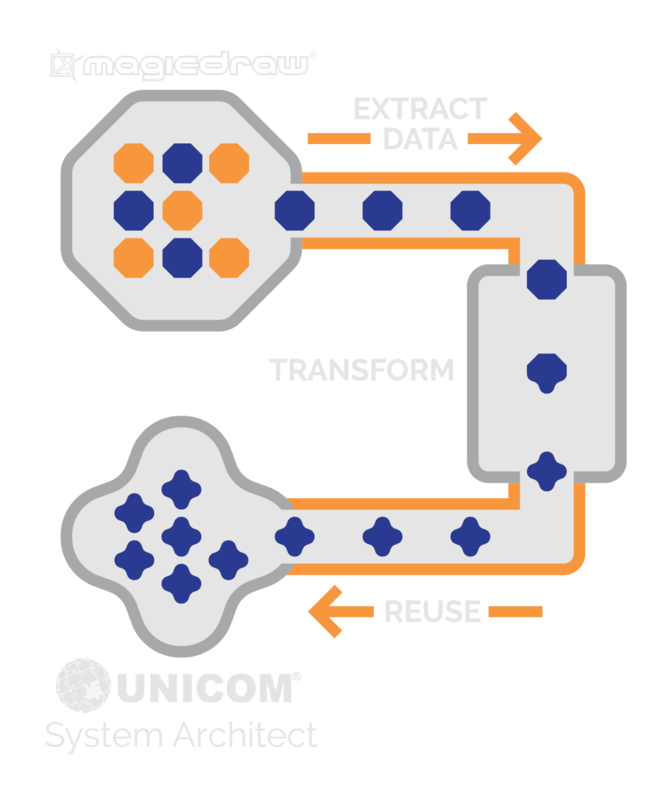 We support the migration of Unicom System Architect models to the format of MEGA HOPEX Architecture with a few simple clicks using our model transformation platform, MDWorkbench. Our dedicated services provide you with customized support for System Architect models that likely contain our own semantic constructs. In particular, we support migration of sophisticated models in the NATO Architecture Framework (NAF) format between these two tools. 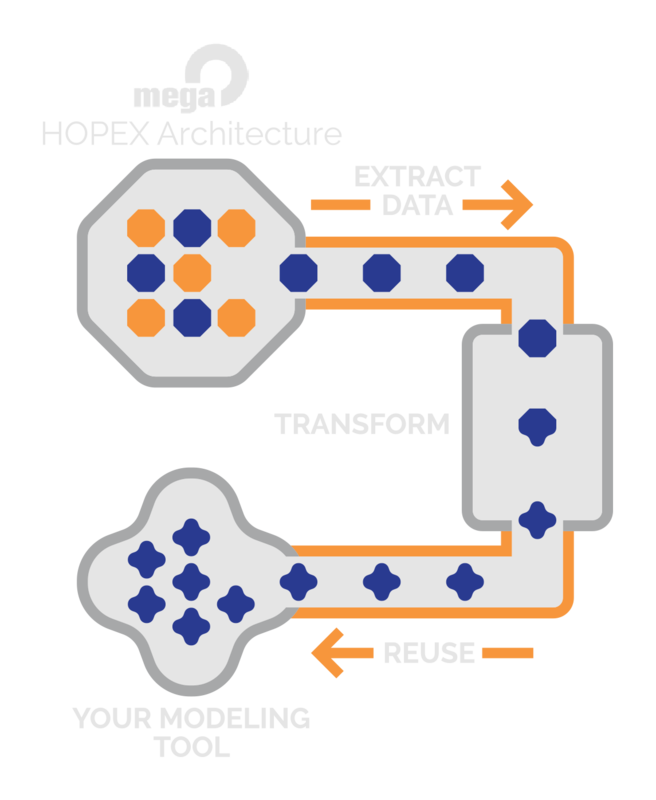 Whatever your data migrations or tool integration needs are, Sodius is the best company in the market to enable the transformation of model-based engineering data from MEGA HOPEX to any modeling tool. 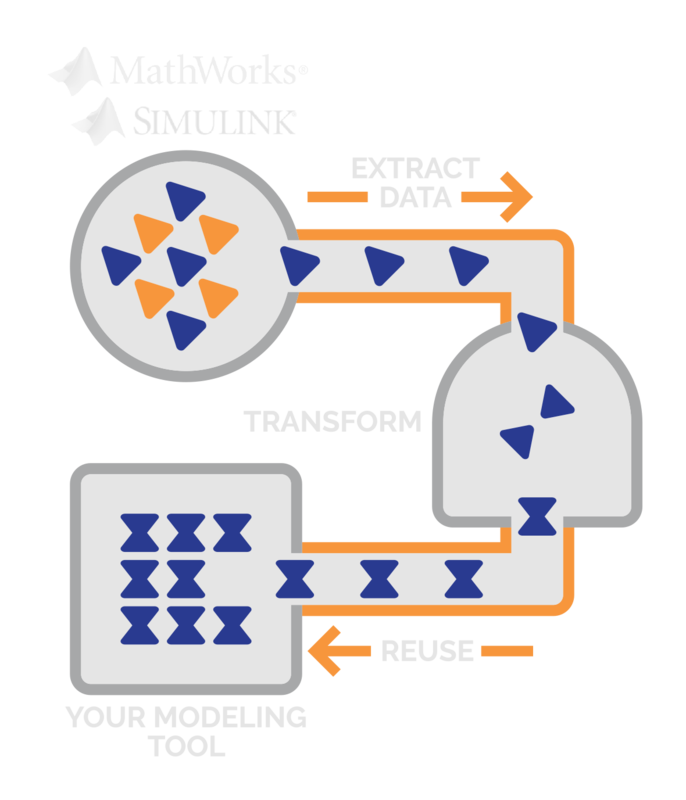 We provide a set of connectors for MathWorks SIMULINK so your engineers can extract and transform their models and reuse them on other platforms. Our services are based on our best-selling MDWorkbench platform that allows engineers to use our connectors to create continuous model transformation processes, enabling the synchronization of engineering datasets around multiple tools. For example, we can set-up live data replication mechanisms between Mathworks SIMULINK and any of their peers in the industry. 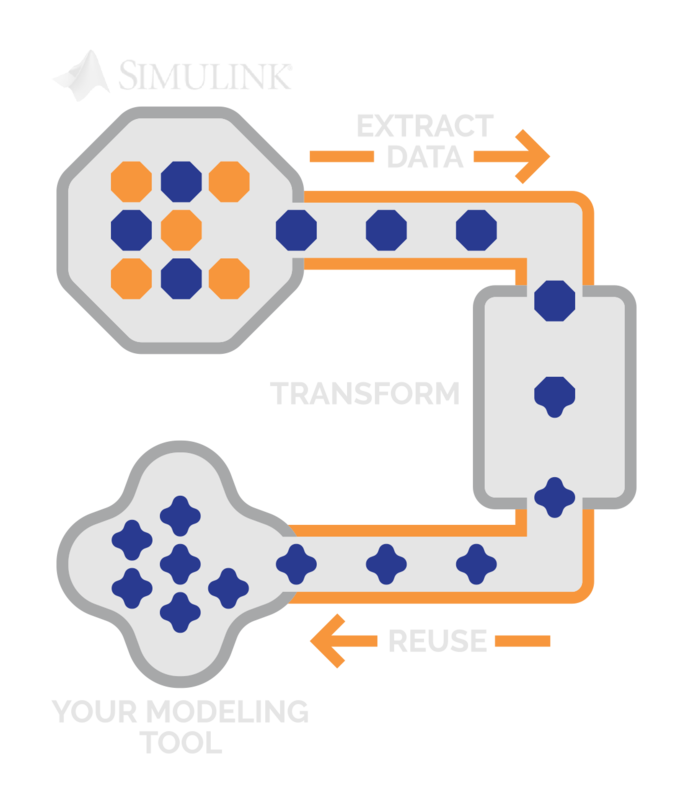 Many engineers use SIMULINK for prototyping, yet it behooves them to express these models into a systems engineering language to enable their reuse across multiple SysML-compliant tools and to drive system engineering projects. For that reason, we provide our customers with the capability to automatically create system architectures in Rhapsody from SIMULINK models. Using our flagship product MDWorkbench, we help our customers to extract information from SIMULINK and transform it to be leveraged across multiple tools. The joint use of Rhapsody and MathWorks SIMULINK enables engineers to reach the next level in simulation capability. In particular, control engineers require complex simulation functions which are typically available in tools such as SIMULINK. With the use of specialized services on top of our MDWorkbench platform, we enable our customers to integrate SysML model with SIMULINK so that behavioral aspects, i.e. simulation needs, of the SysML model are handled in SIMULINK. 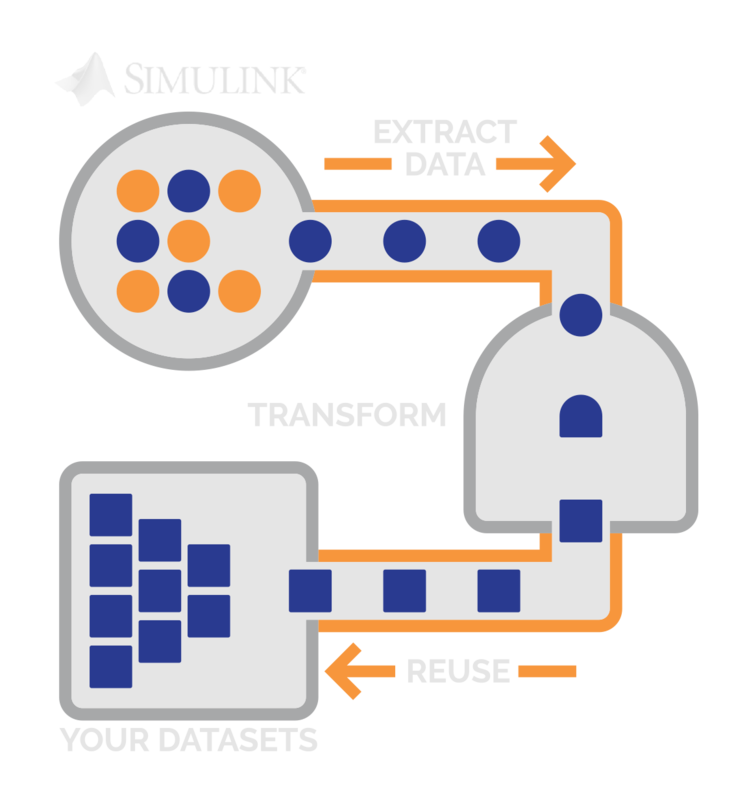 Whatever your data migration or tool integration needs are, Sodius is the best company in the market to enable the transformation of model-based engineering data or integration from SIMULINK to any modeling tool. 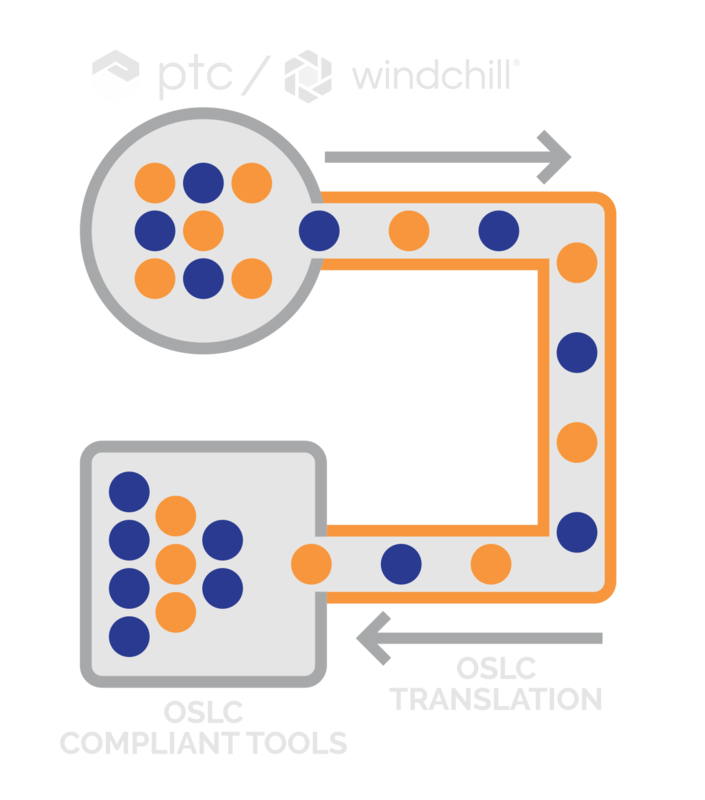 We provide an integration component for PTC Windchill that allows for the access of Windchill resources though the Open Services for Lifecycle Collaboration (OSLC) protocol, and hence the integration of Windchill resources with any OSLC-compliant tools. This component is essential to integrate Windchill into a hardware-software change management process, such as the synchronization of changes in the Bill of Material (BoM) in Windchill with changes to software components, that persisted in IBM Rational Team Concert. 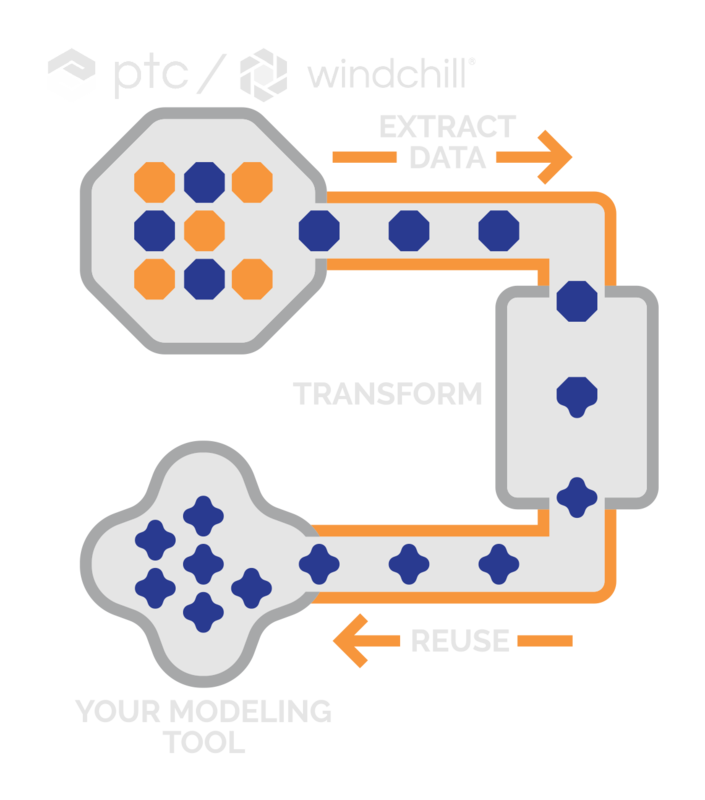 Whatever your data migration or tool integration needs are, Sodius is the best company in the market to enable the transformation of model-based engineering data or integration from Windchill to any modeling tool. 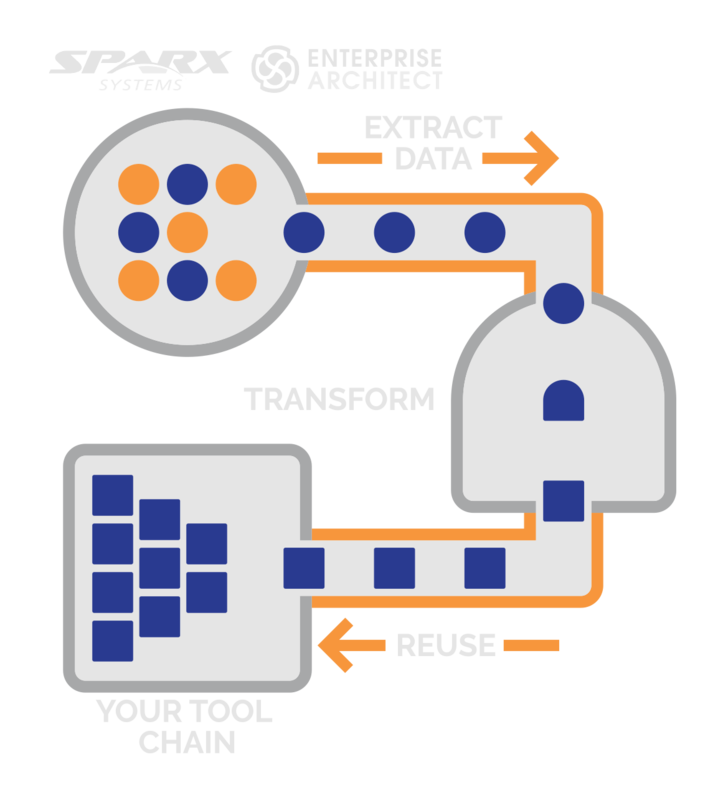 We provide a set of connectors for Sparx Enterprise Architect to help your engineers extract and transform their models and reuse them on other platforms. Our services are based on our best-selling MDWorkbench platform that allows engineers to use our connectors to create continuous model transformation processes, enabling the synchronization of engineering datasets around multiple tools. For example, we can set-up live data replication mechanisms between Enterprise Architect and any of their peers in the industry. 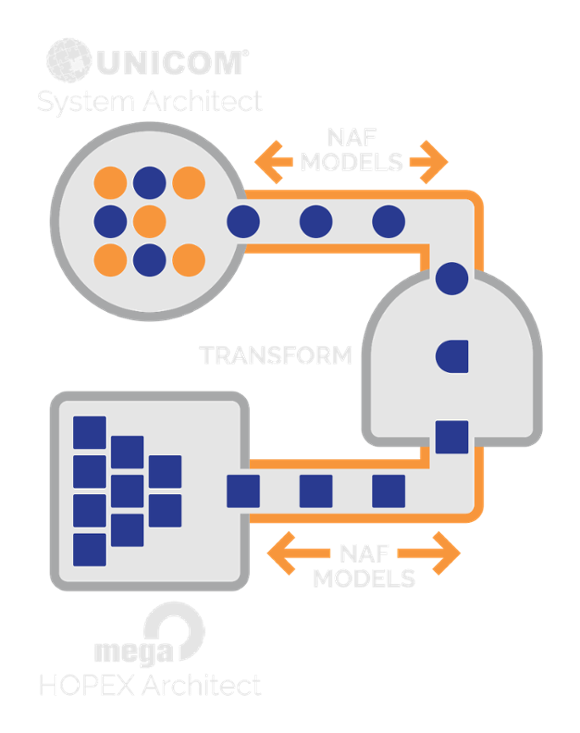 Models expressed in the NATO Architecture Framework (NAF) format contain descriptions of high-level system models which include software systems. 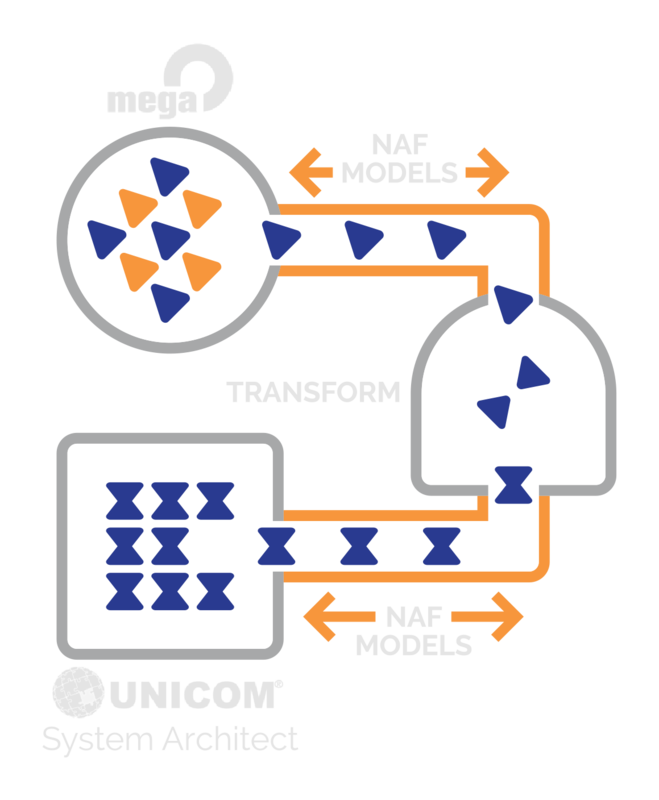 Because of this, a smooth and traceable transition from NAF to UML models is useful to connect design concepts to implementation. 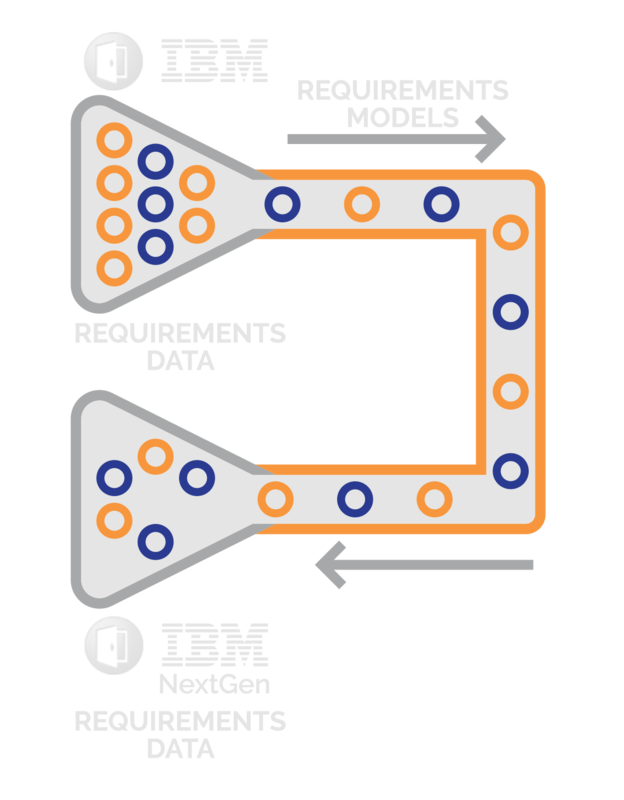 Our integration technology helps customers and Sparx Enterprise Architect users to do just that by extracting the software system information from their NAF models in EA to software model in IBM Rational Software Architect format. 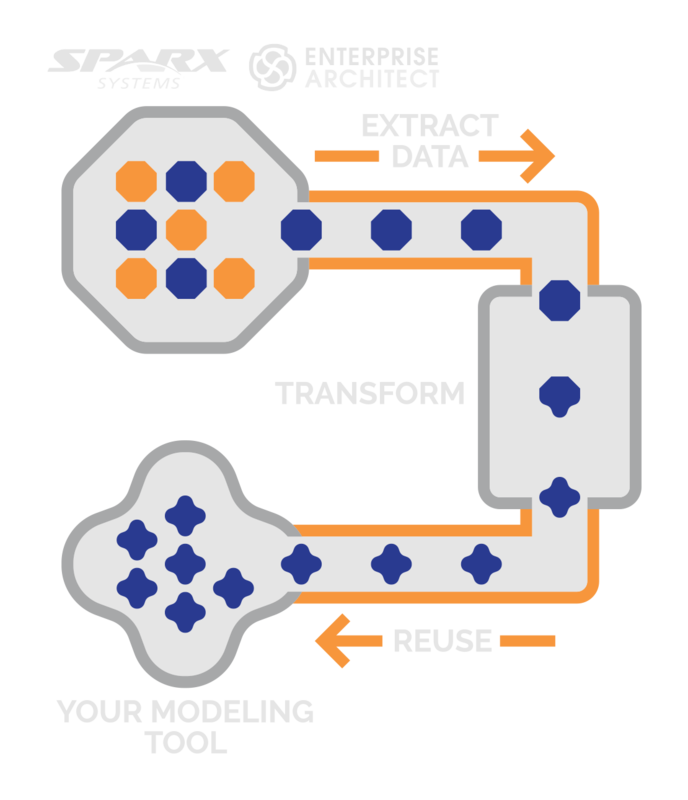 Whatever your data migrations or tool integration needs are, Sodius is the best company in the market to enable the transformation of model-based engineering data or integration from Enterprise Architect to any modeling tool. Don't See Your Specific Tool?